Having shown the Yamaha SA-30, I thought you might be interested in this 1968 SA-20; it's the same guitar (minus vibrato) as a twelve string. The price in 1968 was $315 according to a catalog you can view here, making it the most expensive of the SA (semi acoustic) line at the time, about $2000 in today's dollars. 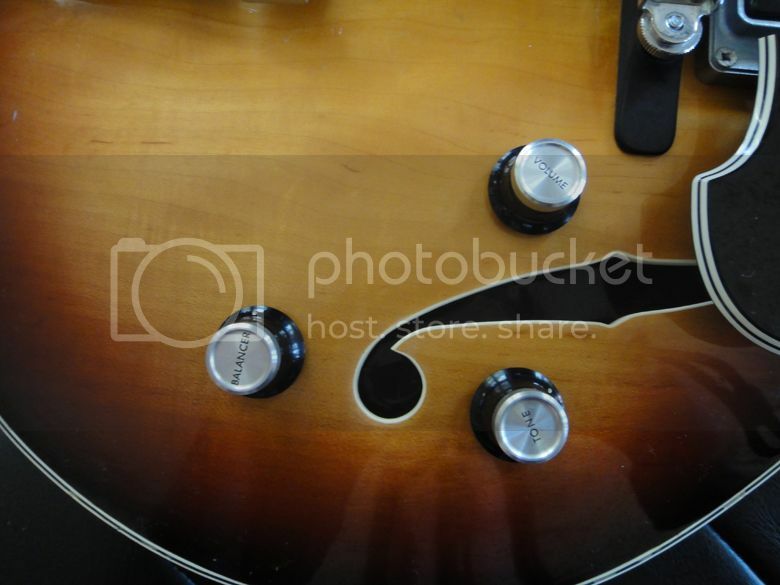 When I first got the guitar, I noticed that there's black plastic inside the F-holes; this, I learned from the catalog, is a baffle intended to suppress feedback (patent pending!). 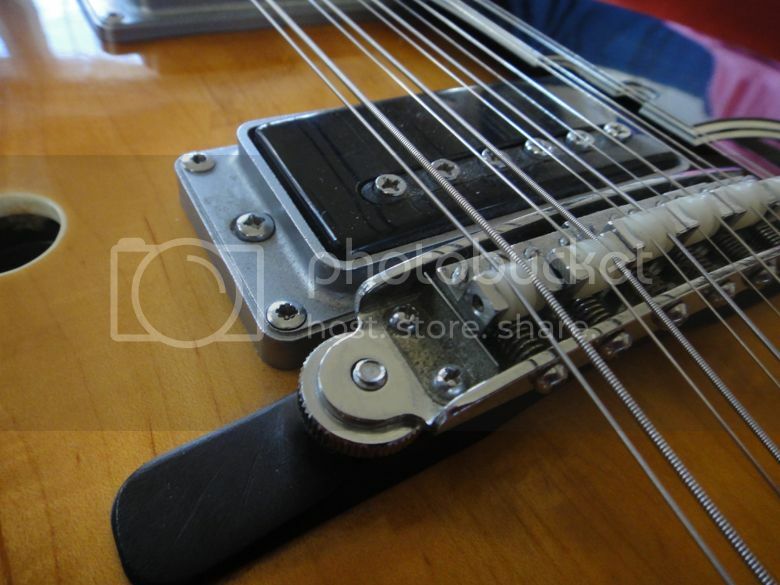 If you've both pickups selected the "mic balancer" lets you blend between the two; the pickups are the size of humbuckers but I think they are single coils. Either way, they're attractively fitted. The neck is very narrow, and the nut (which I don't believe to be original) makes it challenging to play; but overall the workmanship is superb. 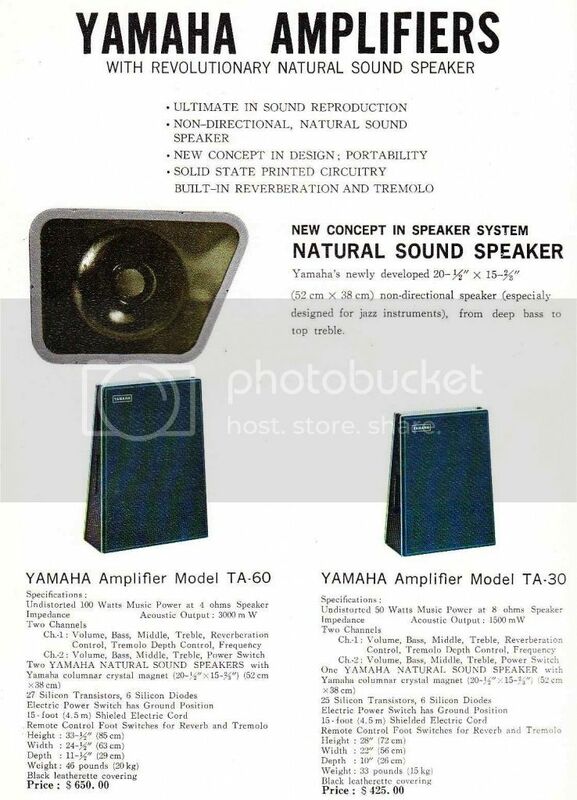 In that same catalog is a very interesting amplifier, the TA-60; I'm including a picture of that as well. 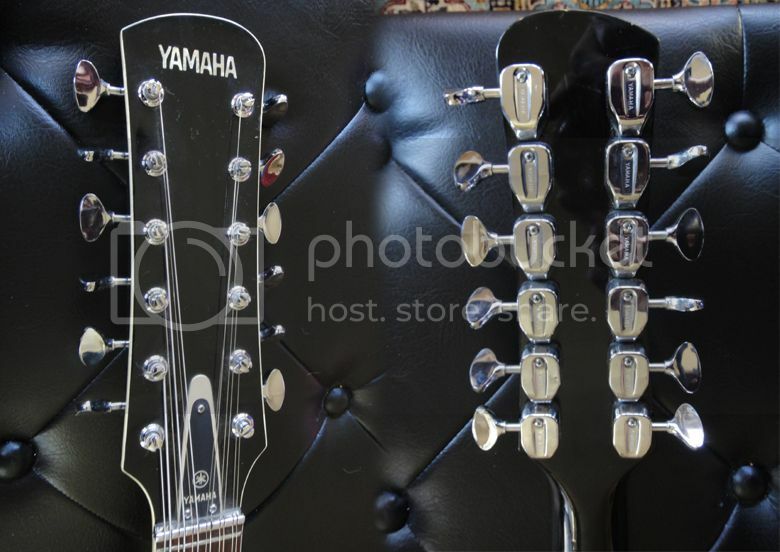 I'd really like to find one to compliment the guitar. Thank you, Derek, for sharing this with us. Perhaps one day I'll get my mitts on a similar guitar!